Does Marijuana Enhance the Benefits of Exercising? Everyone knows that exercise is good for you. There are mountains of evidence pointing to myriad health benefits, including weight control, reduced risk for diabetes and heart disease, reduced risk for certain cancers, improved mood from the release of endorphins, and even the creation of brain cells, a process known as “neurogenesis.” But what you may not know is that, whether you’re a seasoned athlete or a complete novice, Cannabis can help you get the most out of your workout. What is the Relationship Between Cannabis and Exercise? Most people assume that Cannabis and exercise are incompatible. After all, you always hear the (incorrect) stereotype that “stoners are lazy,” not to mention marijuana use is banned by major sports leagues. So doesn’t that mean it’s bad for athletes? Increased oxygen intake to fuel your muscles. A 2010 study from the European Respiratory Journal found that, unlike tobacco use, “Cannabis use was associated with higher lung volumes.” Why is this important in the context of exercise? Muscle movements are powered by oxygen, which is delivered by red blood cells (RBCs). Increased oxygen intake means a greater energy supply for your workout. Maintain healthier blood sugar levels. Doctors often recommend exercise to patients with Type 2 diabetes. But while Cannabis is helping you get more out of workout, it’s also helping to control your blood sugar. According to a 2013 study published in the American Journal of Medicine, “Marijuana use was associated with 16% lower fasting insulin level.” As an added bonus, the study also found “significant associations between marijuana use and smaller waist circumferences,” which is great news even if you don’t have diabetes. 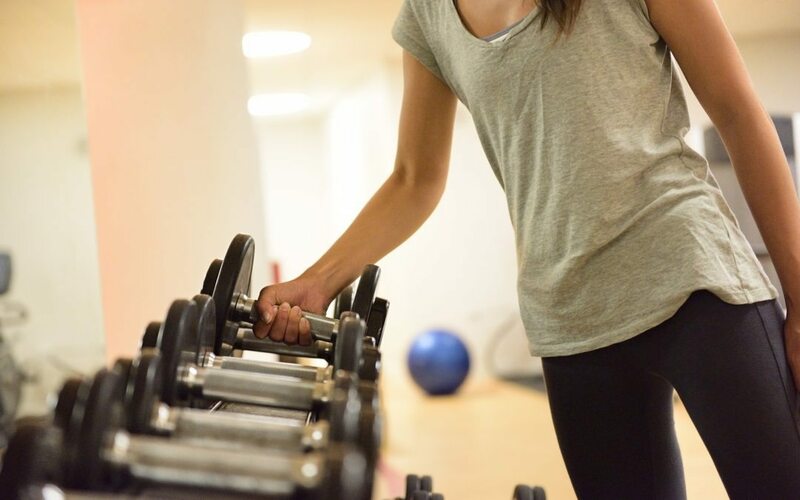 Not only can THC enhance the benefits you get from exercise – exercise may enhance the benefits you get from THC, which is stored in fat and slowly released back into the bloodstream. This was demonstrated by a 2013 study published in Drug and Alcohol Dependence, which examined 14 “regular Cannabis users” who were instructed to spend 35 minutes exercising on stationary bikes. Upon measuring the Cannabinoid levels in participants’ blood plasma before and after exercising, researchers found that “exercise induced a small, statistically significant increase in plasma THC levels,” unless the participants fasted before working out. 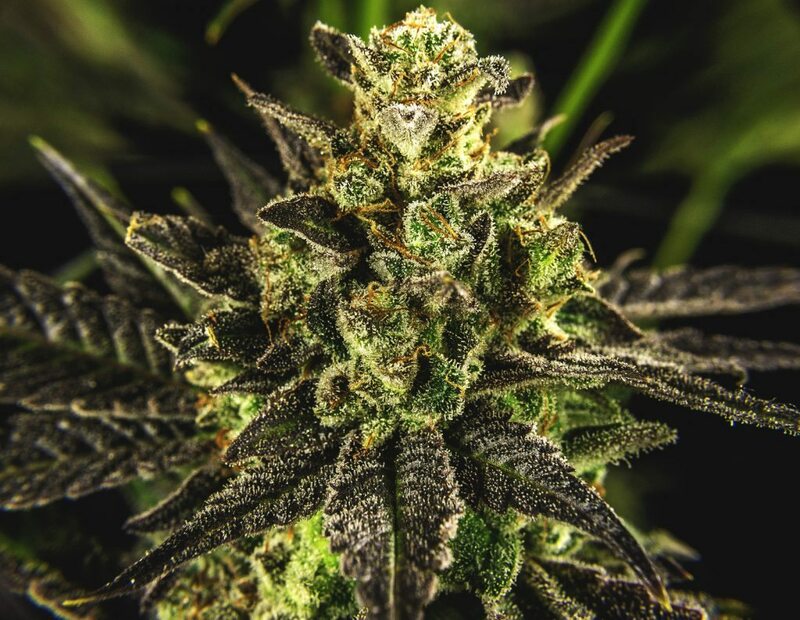 “Overall,” the study concluded, “these results suggest that exercise may elevate blood THC levels by releasing dormant THC from fat stores.” This effect became more pronounced as participants’ BMI (body mass index) increased. Perform gentle stretches before you begin. This will help loosen up your muscles and reduce the risk of a strain injury. Start out slow, especially when you’re learning new moves. Exercise isn’t a race. Keep your sessions short. Go for five or 10 minutes and see how you feel. Keep “checking in” like this at regular intervals. Don’t exercise for more than an hour at a time. Stay hydrated with plain water before, during, and after your workout. If you feel any pain or discomfort, stop immediately. Don’t force your body to keep going when it’s sending you pain signals. Even experts get injured this way. If you start to feel light-headed or dizzy, stop and lie down immediately. Rest for at least a few minutes, and discontinue exercise for the rest of the day. Don’t beat yourself up if you can’t do every pose or move right away. You’re already making progress just by getting started. Feel free to modify moves and poses to suit your needs. Stand and march in place while you watch TV. Sit on the couch and try raising and lowering your legs, holding them parallel to the floor. If it’s too hard to do this with both legs, try doing one at a time. 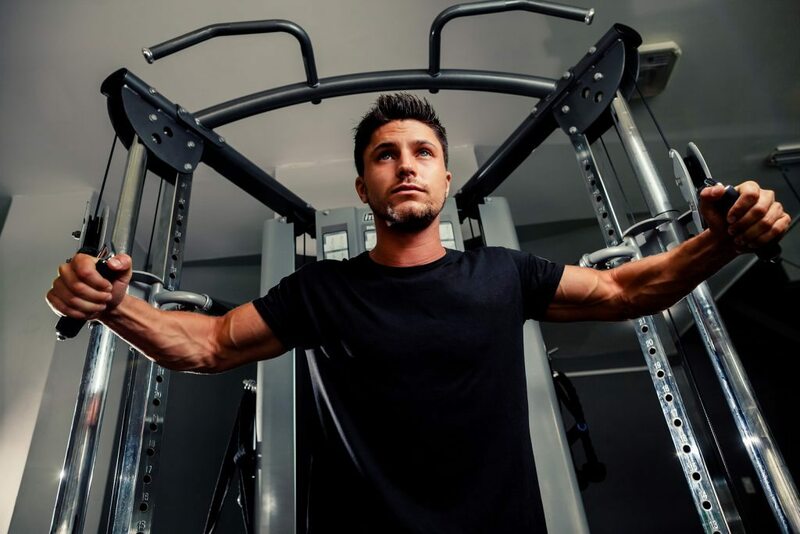 You can do this same exercise with your arms, raising them from your sides to above your head. To increase resistance, trying holding a small weight. It doesn’t have to actually be a weight – you can also use cans of soup, bottled water, or any other compact, easy-to-grip object that weighs at least a few pounds. Grab a stepstool and try stepping up and down. If you don’t have a stepstool, you can walk up and down the stairs in your home for 5 minutes (or 2 minutes to start). Hold the banister for balance. Try modified push-ups with your knees and shins still on the floor. These are easier to do than standard push-ups, but still improve your upper body strength. With your weight on one leg, and holding onto the back of a chair for balance, extend your other leg behind you (keeping it straight) and hold for a count of 10. Switch legs after a few repetitions. Just remember: take it slow, don’t get discouraged, pay attention to the signals your body is sending you, and don’t forget to get ample rest between workouts. Even tiny increases in your level of physical activity can make a difference with time. If you’re living with a serious medical condition and haven’t had success with traditional treatment methods, medical Cannabis may be able to help relieve your symptoms. To talk about whether your condition qualifies for medical marijuana, call Inhale MD at (617) 477-8886.